We are looking for an Executive Director! The Cocoa Sustainability Partnership (CSP) is a national public-private platform mandated to enhance communication and collaboration between stakeholders in sustainable cocoa development initiatives in Indonesia. 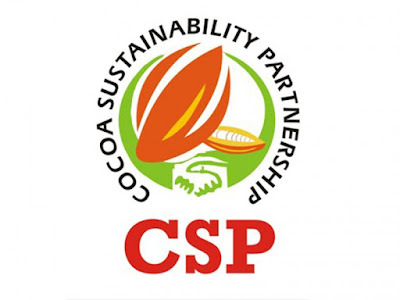 Members of CSP include the Government of Indonesia (GoI), national and multi-national companies, national and international NGOs, donors, research agencies, certification labels, and academics working together towards sustainability of Indonesian cocoa sector. The day to day management of the partnership platform is run by CSP Executive Office, based in Makassar. CSP Executive Office is looking for a qualified candidate to fill the post of Executive Director. This is a full time post and will be based in Makassar, South Sulawesi. The Executive Director will lead the Executive Office and the partnership platforms operations. He/she will act as representative of CSP to third parties and will ensure that the running of the Executive Office and the five regional forum are in accordance with CSP vision and mission, the CSP Road Map, and the approved annual work plan and budget. Makassar with frequent travel to Jakarta and cocoa production areas in Indonesia. Produce narrative annual and semi-annual reports as required by donors and CSP management. Masters degree in the following or related fields: agriculture, agribusiness, rural development, governance, or sustainability. Strong English with ability to write and produce reports in English and Bahasa Indonesia. Please send your Letter of Interest and CV by email to ledy.yohannes@csp.or.id with subject: “Executive Director”, the latest by July 17th, 2017. Only shortlisted candidates will be contacted for interview.